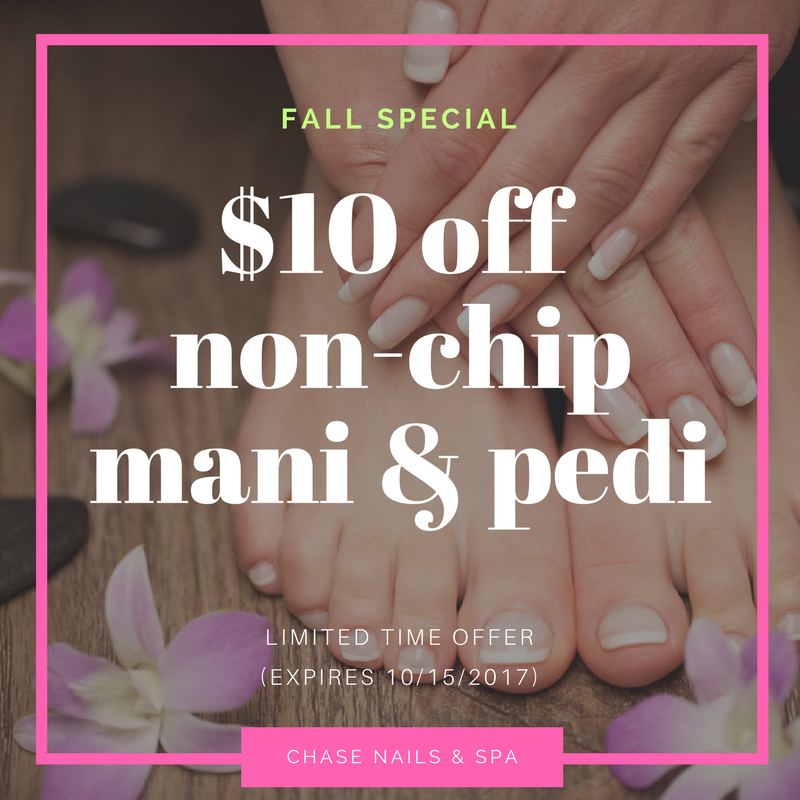 Valid through October 15, 2017. 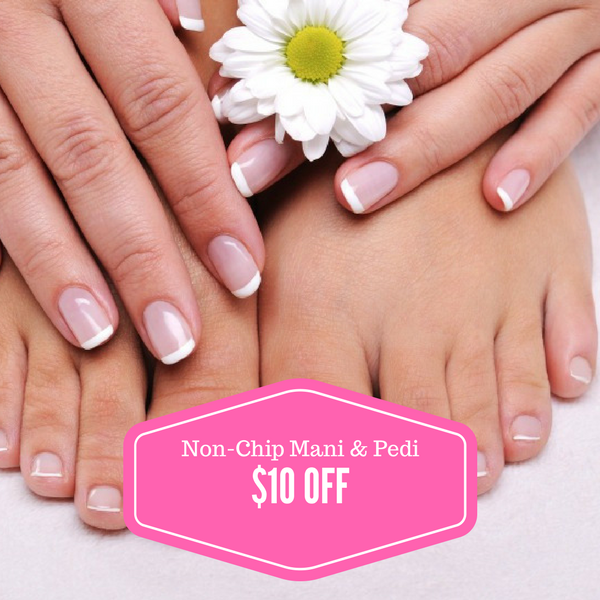 Get $10 off on non-chip manicure & regular pedicure combo. 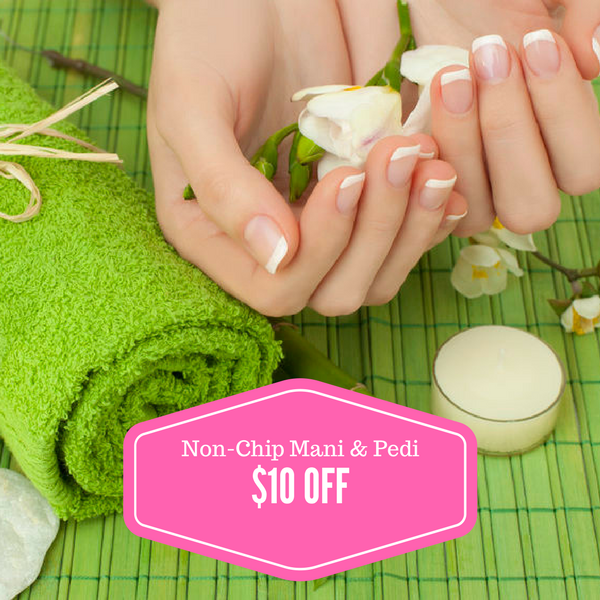 Valid through April 15, 2017. 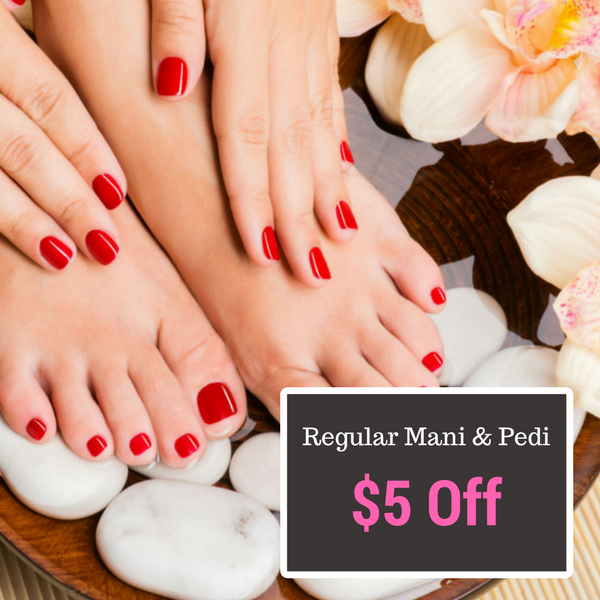 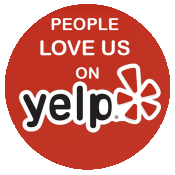 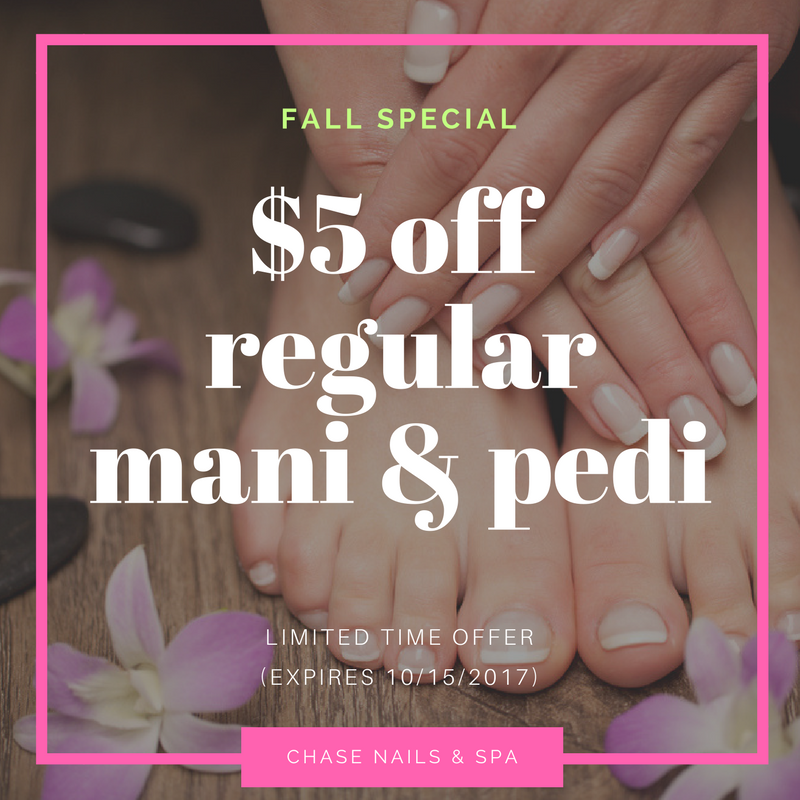 Get $5 off on regular manicure & regular pedicure combo.